This quiz was tough! 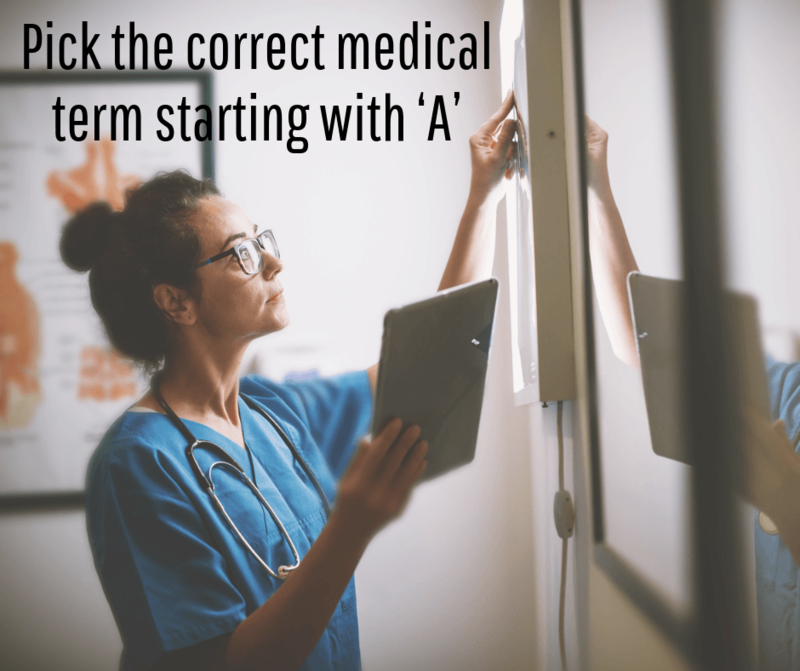 Can you pick the correct medical term starting with ‘A’? Will all the hours you spent watching Grey’s Anatomy help you on this quiz? Give this one a try and let me know how you did! I got 13 out of 15 correct. Not bad!